Segura Viudas, the Spanish Cava known for its authentic approach and remarkable quality. The brand is pouring itself into the music world again by collaborating with Electronic DJ, producer, vocalist, and songwriter Anna Lunoe for its latest campaign “Open Up.” Segura Viudas’ ad agency of record, República, created the campaign’s anthem video, which features an original track by Lunoe entitled “Sip It” that mixes the alluring sounds of Cava -- from the unwrapping of the foil and popping of the cork to the pouring of the Cava itself -- with Lunoe’s musical innovation and pure sonic power. The spot, was released on September 1 and will run on digital platforms for one year, during which the artist and brand will also participate in a series of events in key markets across the U.S.
"When we approached Anna to work with Segura Viudas, she was excited about the creative foundation of the project and the overarching campaign platform, “Open Up," said República President Luis Casamayor.” As we refined the concept, Anna had a very real creative impact and infused the spot with her own unique style which made it an exceptionally collaborative process," he added. 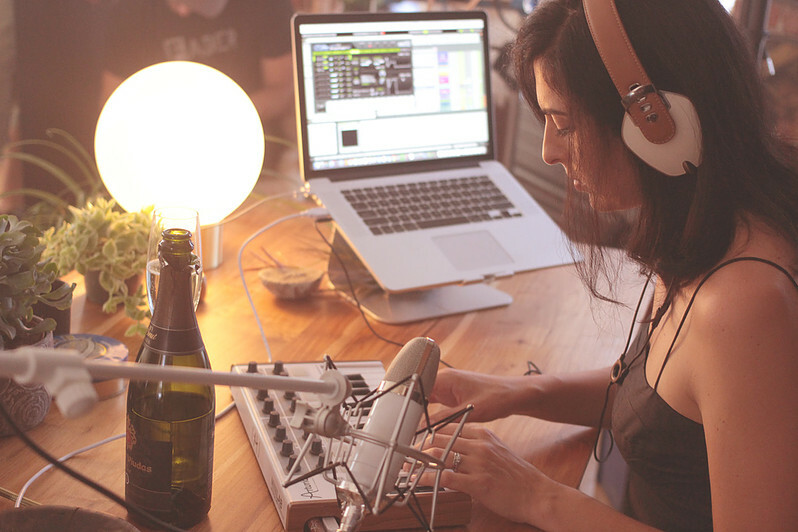 Lunoe currently hosts her own weekly program entitled “Anna Lunoe Presents: HYPERHOUSE”, which is broadcast live to over 100 countries. A star in the EDM scene, she has toured with Jack Ü (Skrillex & Diplo) on the Full Flex Express Train Tour, Hard Summer, Splash House and more. Recently, Lunoe made history by becoming the first solo female DJ to perform at Electric Daisy Carnival Las Vegas’ main stage. This is the second time Segura Viudas has adventured into the world of music. Last holiday season, Segura Viudas produced a holiday commercial with indie rock artist Eleanor Friedberger playing the holiday classic “Auld Lang Syne” using flutes filled with Cava. This idea follows in the footsteps of Segura Viudas’ parent company, The Freixenet Group, which became a pop culture icon in Spain thanks to its annual "Felices Fiestas" ad campaign, dating back to its first ad in 1977 with superstar Liza Minnelli. With this innovative concept, the company ushered in a new era in advertising, inviting international superstars, many of whom had never been to Spain, to be the seasonal spokesperson for its Cava.